At the base of Peak 9 at the Breckenridge Ski Resort, lies the Village at Breckenridge. The complex includes about six buildings with a central courtyard. The upper floors are all residences, while the ground floor is the home to several restaurants, shops, medical center, and other guest services. 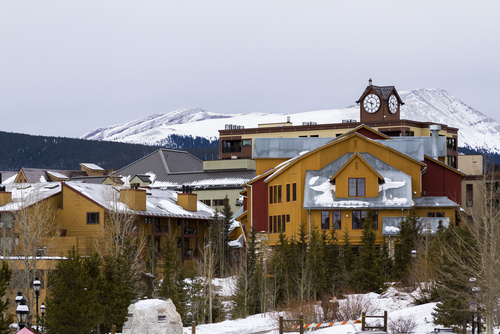 The amenities waiting to be explored at the Village at Breckenridge include ski shops, restaurants, hot tubs, pool, and fitness area. There are also conference rooms and restaurants owned and run by Vail Resorts. The convenient 24-hour guest service, valet parking, and free in-town shuttle, make this residence a fantastic spot to nestle down for the winter with a seasonal condo, or to enjoy a rental opportunity. 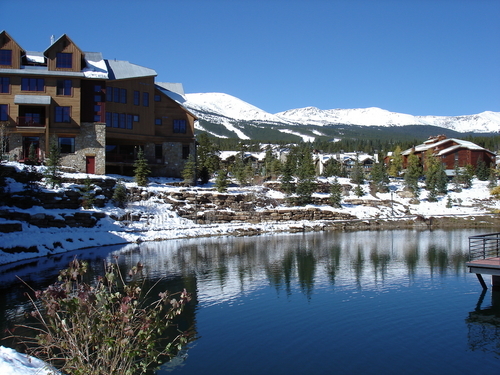 See listings for condos available in the Village at Breckenridge, or read more about this popular place to live & play! The highest priced home for sale in is listed at $640,000 with the lowest available home listed at $624,000. The current average price for real estate is $632,000 with a median price of $632,000. Homes in range in size from 849 Sqft to 878 Sqft, and the average annual property tax is $1,722. There are currently 0 houses for sale, 2 condos for sale, and 0 townhouses for sale in . FIND VILLAGE AT BRECKENRIDGE PROPERTIES NOW! When you register with us for free, you gain exclusive members-only options to search out the perfect match of Village at Breckenridge condos for sale. This building received a major face lift in 2010, transforming it to the modern residence it is today. The lobby was also fully renovated with many units undergoing their own upgrades; some with complete remodeling. Built in 1979, Village at Breckenridge condominiums is one of the largest complexes in the area. Units range in size from a studio to three bedrooms, offering mountain and town views, with easy access to the shops, dining and entertainment. Prices range from mid to high, but no matter where you settle, you'll find luxury and convenience for all budgets with Village At Breckenridge condos. Overlook the nearby pond, enjoy high quality finishes, mountain vistas, personal decks, double vanity baths, stone fireplaces, granite counters and more. Want to keep browsing in Breckenridge? Take a look at other condos on the market in the nearby area! Just a short walk through the courtyard and you will be at the base of the Quiksilver Lift. This is a high-speed, six person chair that will whisk you off to the top of Peak 9. From there, you can access any part of the Breckenridge Ski Resort. Just across the street from Village At Breckenridge, you can enjoy all the Historic Main Street has to offer with its charming village aesthetic and wealth of casual and fine dining restaurants, unique boutiques, shops, and friendly neighborhood pubs and cafes. Behind the residences is Maggie Pond, a peaceful waterfront setting year round. In the winter, it is open for ice skating and during the warm summer months, residents and visitors enjoy water activities such as paddle boating and fishing. READY TO START TOURING VILLAGE AT BRECKENRIDGE UNITS? Let us know what units you have your eye on and we can help you pre-qualify them for a walkthrough. 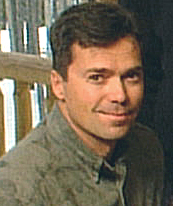 Andrew will fill you in on what you need to know about purchasing a condo in this unique market, and fill you in on the area! Get Started On Your Dream Purchase Today And Contact Andrew!